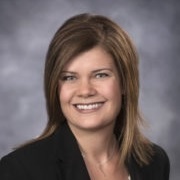 Heather joined Cornerstone Capital Advisors in March of 2014, and currently manages the Portfolio Administration team. She works closely with clients in all aspects of account administration in addition to her responsibilities with quarterly fee and performance reporting. Heather has been in the financial services industry since 2002. Her most recent experience includes working for a Registered Representative at a branch office where she managed the client reporting system and assisted clients, accountants, and attorneys with information needed for tax reporting and estate planning. Heather’s additional background includes working in the IT field where she has functioned as a System Administrator and as an Implementation Consultant.